The Graphix model is made by the Voit manufacturer and it is one of their two full size tables that aren't designed for kids. It offers a modern silver and chrome looking design with black finishes. 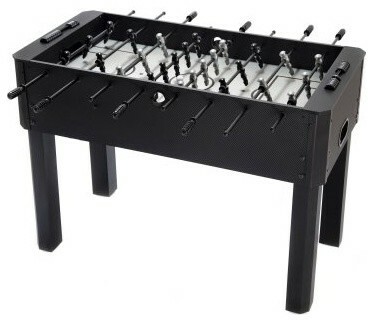 It also has 3 man goalies, adjustable legs, and end ball returns. Definitely not a high end table by any means, we rate this table a 3 out of 5.